Zahara offers the waterless printer a plate alternative. Zahara is easy to implement and easy to use. 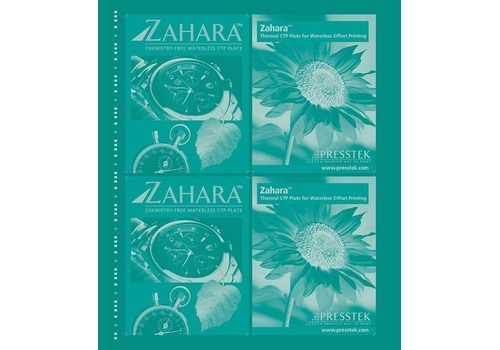 Presstek's Zahara plate can be imaged in any 830 nm thermal platemaking system. After imaging, simply rinse the plates in your existing processor containing just water-- no chemistry needed! No pre-heating, chemical processing, gumming or baking is required. 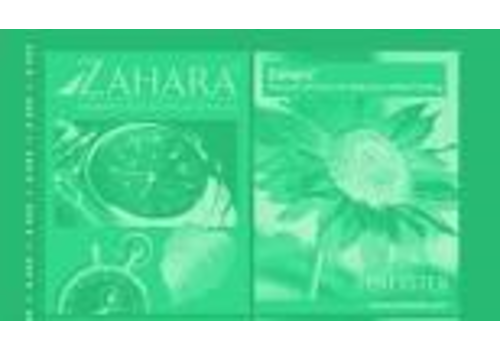 Zahara addresses the majority of waterless sheetfed and narrow web press platforms. It is ideal for small, half- and mid-size sheet formats, labels, packaging, and plastic card production.